One of the perks of being a guild president is getting an early inside scoop for certain fiber happenings. If you receive any of the major fiber magazines, then you have likely heard of the Blue Ridge Handweaving Show. I know some of you have entered it in the past, because I've seen your work. You may or may not know that was started by and continues to be supported by my guild. There have been some exciting developments for the show that I can't help but want to share with you all. One thing is the location. For the past several years we have been tucked away in the little gallery of the Asheville School. But starting in 2010, the BRHS will have a new home at the North Carolina Arboretum. This means more exposure to the public, a larger gallery to display in, and tons more visitors. It's an exciting step for us. The second thing is that the show is expanding. In the past it's been strictly a weaving show, but starting next year, it will become the Blue Ridge Fiber Show. 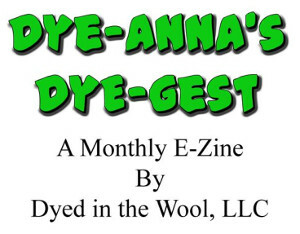 The first two categories to be added will be spinning and felting. Again, an exciting step forward. The committee is enthusiastically at work on all of this. So keep an eye out for the ads. And consider entering next year. I wish that I lived closer! Great new!! Like Jackie I also wish I lived closer. Me too! I would love to go and see this show. The Atlanta guild went from weaving to fiber and I was not a happy camper (I was not the only unhappy camper, by the way). Spinning and felting I could be talked into. But the Atlanta guild also included silk painting and quilting arts. I hope that you do not include these last two! There are precious few venues for weavers to show. Fortunately for you, I am not a member of your guild so you don't have to put up with me!! !